Mississippi’s governor has signed into law a donor privacy bill designed to protect the anonymity of those who give money to nonprofit charities. The new law prohibits state government officials from soliciting or releasing donor information from charitable groups that fall under section 501 of federal tax law. Gov. 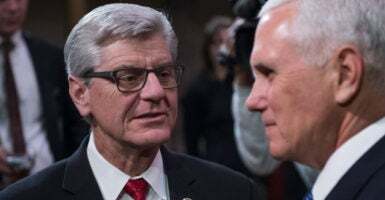 Phil Bryant, a Republican, signed the legislation known as HB 1205 last week after both houses of the Mississippi Legislature passed it. Not everyone in Mississippi was on board with the donor privacy bill. 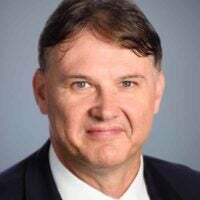 But top officials with the Mississippi Center for Public Policy, a nonprofit free-market think tank that is part of the State Policy Network, view the matter differently. The legislation signed by Bryant provides critical free speech protections to private citizens who dissent from the policy positions of government figures, they argue. In Montana, the governor is going after businesses who donate to trade associations like the U.S. Chamber of Commerce. In California, then-AG Kamala Harris made it a priority to obtain the donor lists of conservative groups like Americans for Prosperity. At the federal level, Nancy Pelosi and the Democrat-majority House have passed HR 1, which would destroy donor privacy and politicize the federal contracting process. Unfortunately, these tactics are not new. They were used by government officials in the 1950s in an effort to destroy the NAACP. They are being used today to bully and harass donors who give to nonprofit organizations. The Mississippi Center for Public Policy also released polling that shows broad public support for a donor privacy law. The American Legislative Exchange Council, a nonpartisan organization of state lawmakers committed to limited government, crafted a Resolution in Support of Nonprofit Donor Privacy.